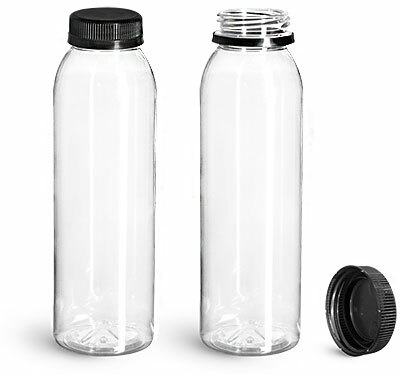 These clear PET round beverage bottles are sure to showcase your products well when paired with black tamper evident unlined caps. The tamper evident caps screw onto the bottles with ease. When removed, the tamper evident rings snap off and remain on the bottle necks, indicating to your customer that the beverage bottles have not been previously opened. 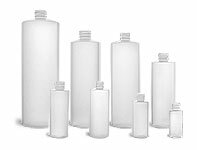 The clear plastic beverage bottles with black tamper evident caps could be your next packaging option for smoothies, teas, and more!